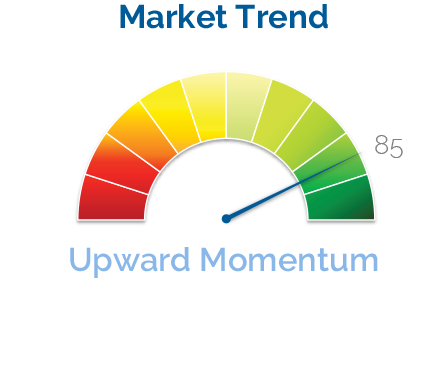 By studying numerous economic, technical and market indicators, we have developed a composite indicator, called Risk Switch™, to help us identify the state of markets. 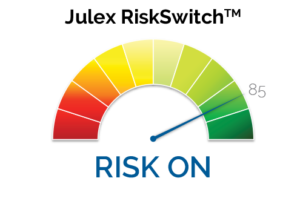 In the “risk on” state, investors would like to take more risks and we over-weight risky assets such as equity, real estate and commodity. On the other hand, in the “risk off” state, we overweight safe assets such as high grade corporate bonds and Treasuries. To determine the market regimes, we use four categories of factors including economic variables, market trends, volatility and liquidity. Normally, in the “risk on” environment, economy is expending, market trends are going up, volatility is coming down and market is flooding with cheap money. On the contrary, in the “risk off” environment, some or all of those factors become unfavorable.